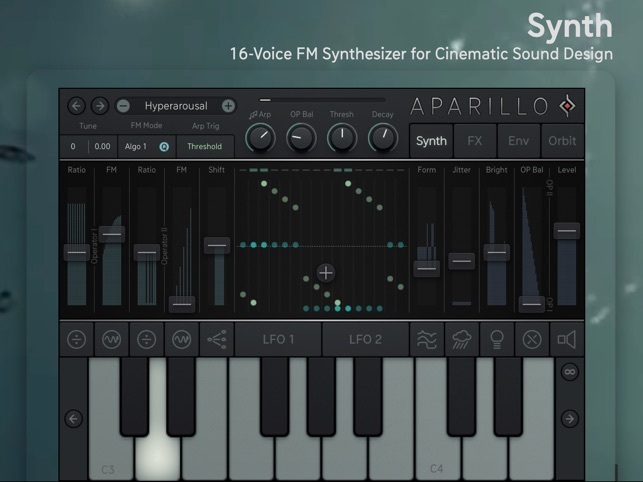 Aparillo is an advanced 16 voice FM synth tailored for complex sound structures , majestic motions, moving and evolving soundscapes and atmospheres that are perfect for film, TV or games. 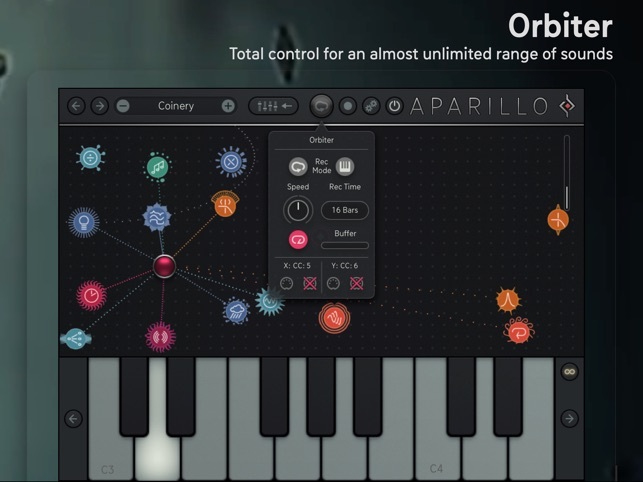 The superstar of Aparillo is the Orbiter, an instinctual "mass-controller" you move through Aparillo's endless sonic universes for one-touch sound morphing. 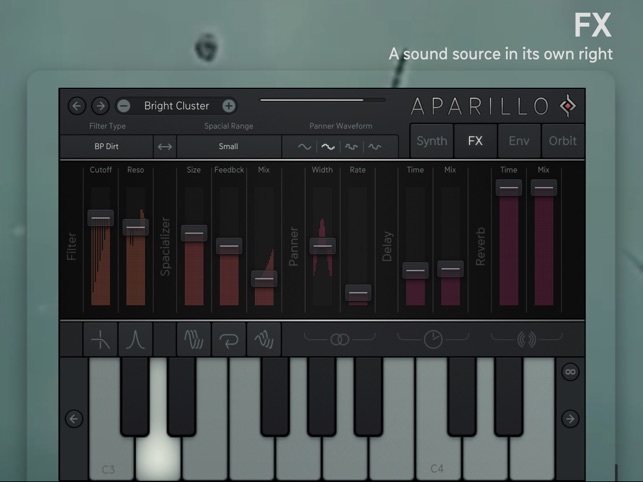 That finally gives you unlimited control over new grounds of sound manipulation. 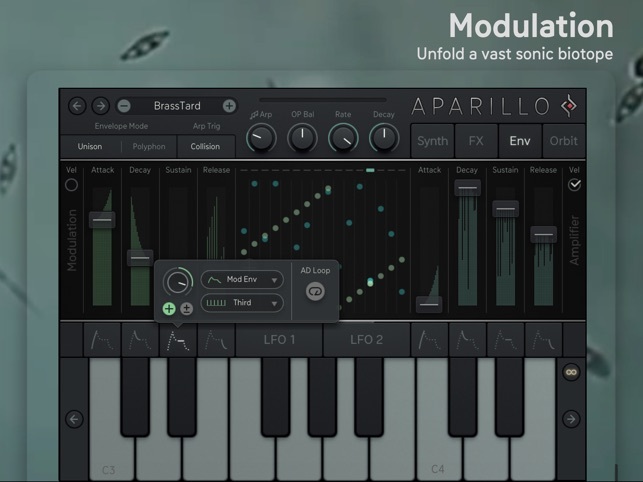 Aparillo for iPad will seamlessly integrate with your mobile studio setup. Syncing your presets to use them accross other devices couldn't be easier with iCloud. OMG are you serious? My mind is trying to grasp the coolness of this app. I have to be honest, nothing that Sugar Bytes has done on IOS has impressed me, however they are on my top 5 VST list for PC...but this, this is what Sugar Bytes is doing on the bigger PC’s ... this is AWESOME! I will play with the demo some more, but Sugar Bytes looks like they nailed it! 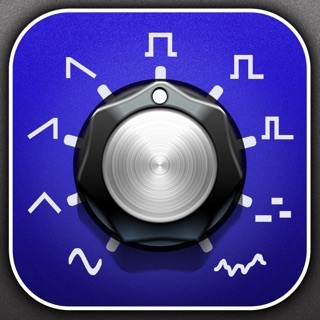 I will most assuredly be buying the upgrade for this app, I’m stoked! App is great. Purchased full version. 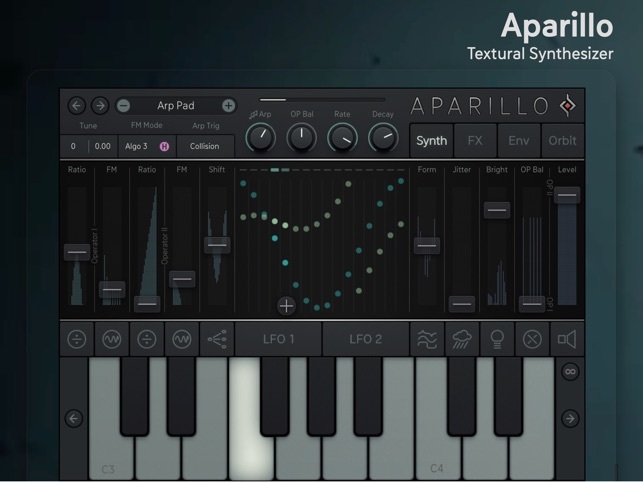 One problem is that after making a patch on iPad and trying to import into PC version via cloud gives the error “this patch was created with a newer version of Aparillo”. Hopefully an update to the PC version will fix this. Turns out I DID need another hole in my head. It only took three notes on the default sound and I couldn’t get to the buy option soon enough...unlike any thing else. Need some more time to find any niggles, but had to immediately post some gratitude.